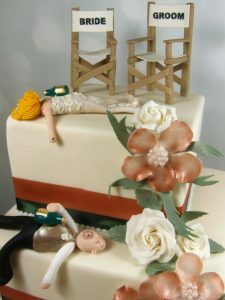 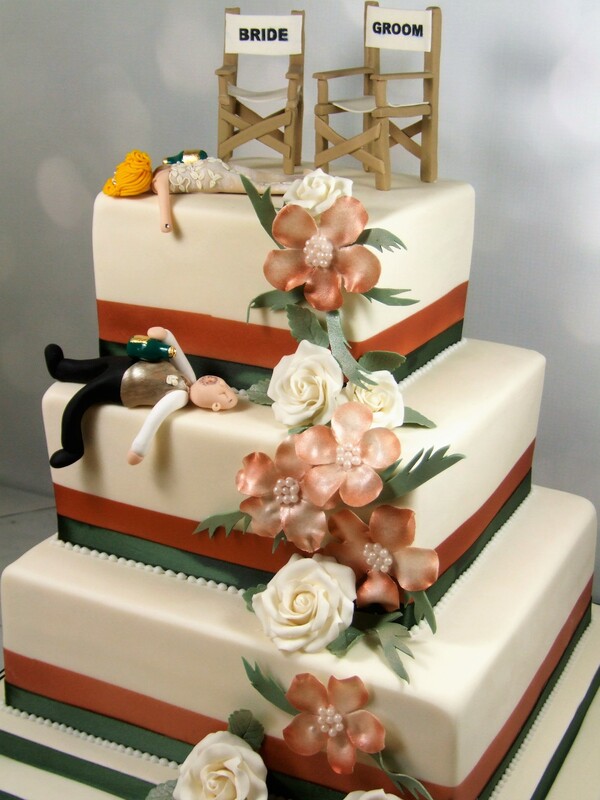 A wedding cake with a definite sense of humour! 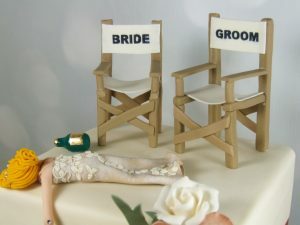 The slightly “worse for wear” bride and groom toppers were supplied by the customer, but had to be kept secret until the day. 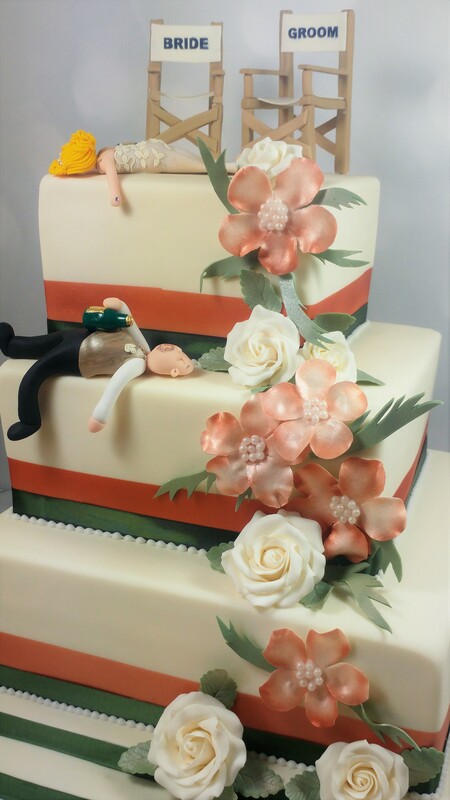 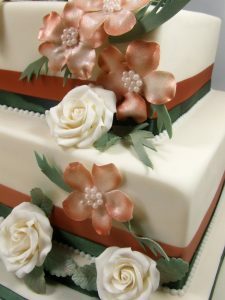 They were made to order with accurate dress details and as per tradition the groom, who came to collect the cake, hadn’t seen the bride’s dress. 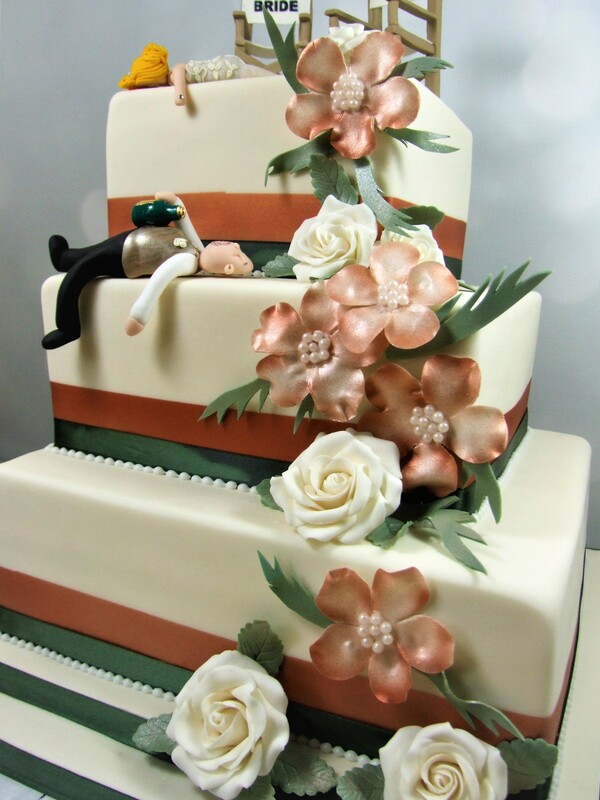 Cue hurried screening of the toppers to be able to show the groom the rest of the cake before taking it away! A modern take on a flowery design, and I loved the unusual colour scheme of bronze and sage green. The chairs were made by me directly onto the cake after I stacked it. Two tiers of fruit, and one of vanilla – unusually the sponge was at the bottom, which isn’t impossible with sufficient internal support.